Many people always have the urge to travel at least once a year to explore a new and exciting place. They make it a point that they discover and try something new in an unfamiliar territory. Just like any endeavour, traveling requires planning as well. So, if you are thinking of going out of the country anytime soon, I suggest you start working on the essentials like securing your flights, managing your itineraries, and booking your accommodations. 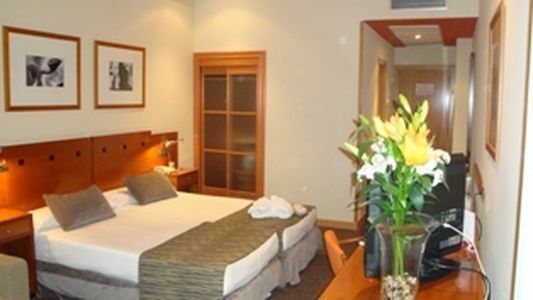 On this page, you will find many interesting hotels where you might want to stay during your vacation. I hope these items of information will help you tailor your holiday. Seasoned globe trotters have learned to seek out comfortable hotels in major cities that can become their “home away from home.” Check out these cozy accommodations in my favorite destinations that don’t cost a bundle yet provide all the comforts you expect in expensive hotels! Sure, marvelous Madrid is full of stunning monuments attesting to its royal history, yet it embraces the cultural changes modern Madrileños crave. Plug into the buzz at the High Tech Arturo Soria with strong Wi-Fi connections in the rooms, business center or public areas. Family and business-style accommodations feature private baths, exercise bikes, PCs and hydro-massage showers. Enjoy buffet breakfast in the restaurant and snacks at the Cafetech Café. Located near the Cuidad Lineal train station and the Madrid Trade Center (Ifema), it’s located in a fashionable residential neighborhood that’s great for evening strolls. With its idyllic location on the Mediterranean, this exciting city enjoys agreeable weather idyllic for outdoor activities and admiring the fascinating architecture. At the Hotel Atlas , you’ll find contemporary soundproof rooms with private baths, individual climate control, a mini-bar and free Wi-Fi. Walk to Las Ramblas, a tree-lined pedestrian boulevard with great shopping, dining and entertainment. la Rambla still belongs to one of my favorite places in my favorite city. Although romantic Rome relishes its past glories, it also is a hotbed of modern ingenuity and fashion. Enjoy the best of both worlds at the Hotel Mariano built in 1880 and renovated to provide crisp, air-conditioned rooms with contemporary comforts like Wi-Fi and satellite TV. Near the Coliseum, the Opera Theater and the Roman National Museum, this charming hotel is easy to access from the Leonardo da Vinci (Fiumicino) airport. Movie fans visit London to see some of the actual locations used in films like Harry Potter and King’s Cross Station proves an excellent starting point. 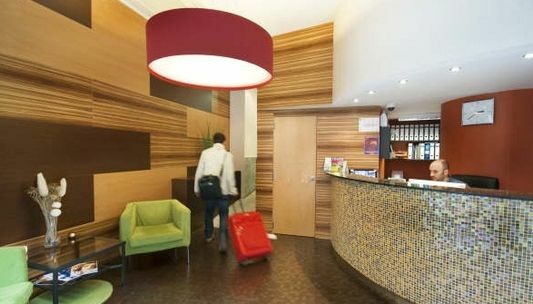 The Elmwood Hotel is located just 100 meters from the King’s Cross Station and offers clean, affordable accommodations. As their guests, you can enjoy a free continental breakfast before embarking on foot to see sites like Trafalgar Square, Convent Garden and, of course, platform 9 ¾ where fledgling wizards catch the train to Hogwarts. Stalk the urban jungles of NYC to hunt down iconic sites in Central Park, Manhattan and ethnic enclaves like Harlem and Little Italy. 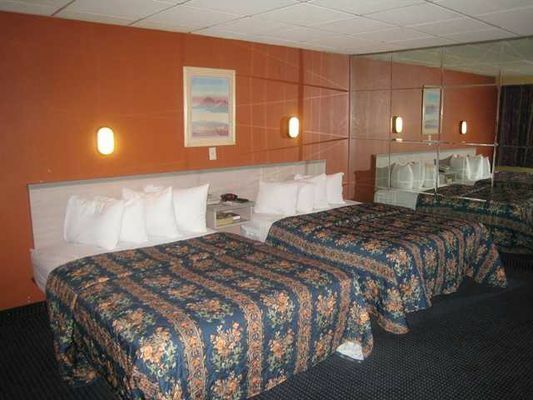 As a guest of the Capri Whitestone Hotel in Brooklyn, you’re close to major thoroughfares and public transportation and their affordable rooms include high-end amenities like cable TV, microwave and a mini-fridge. There are other cool hotels in New York City where I stayed myself, such as Library Hotel or Elysee Hotel. hi Keep posting more on your visits and hotels. The accommodation list is amazing this will really help me while choosing my favorite tourist destination place. Thank you So much For telling me the Marvelous Places and Accommodation in your Favorite Cities I love to Traveled with my honey 😀 and my vote for Barcelona where i really spent my time with beautiful memories and want to going there again and again.And Now I decide to Go In Rome ” THE GHOST CITY ” world Oldies City am i Right ?? I like Rome the Architectural Point of view and thank again for the list Where we can Stay.